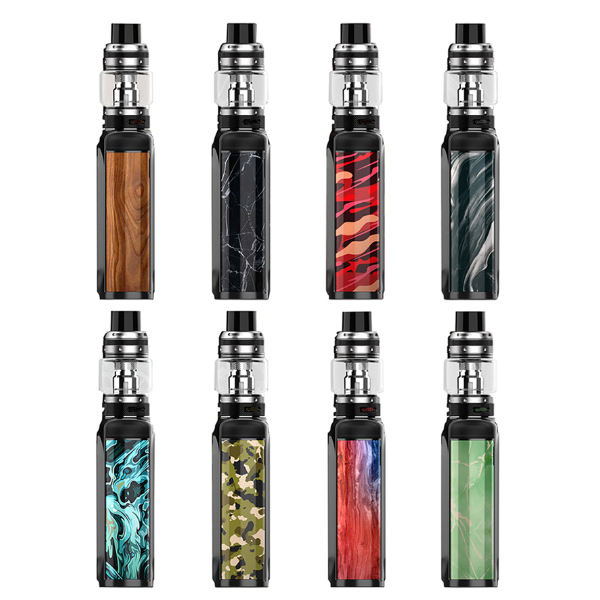 Voopoo introduces the Vmate Uforce T1 – a vape kit consisting of a powerful and functional VMATE 200W TC mod and a UFORCE T1 tank with a large e-juice capacity. Design-wise, it looks outstanding because of creatively crafted colorful finishes and an elegant sleek shape. 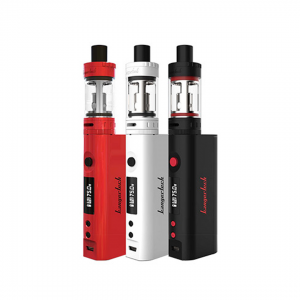 This attractively designed device gets power from dual 18650 batteries offering an opportunity to reach 200W power output. Adopting an advanced 32-digit GENE.Fan chipset, it offers instant firing and stable, safe vaping experience. What is more, this chipset is capable of blocking dust, liquid and fire. 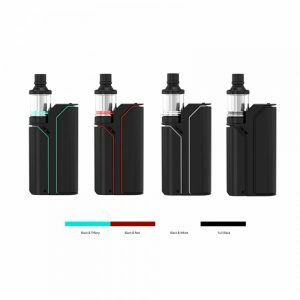 You can use this vape kit in TCR mode and it accepts various compositions of Nickel, Titanium, and Stainless Steel options. 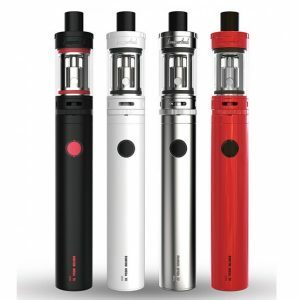 As for the vape tank, coming in pair with this highly efficient mod, it boasts enormous e-liquid capacity – 8ml. It is leak-free and easy to refill. 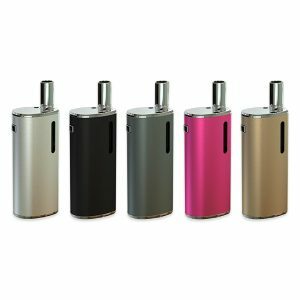 The vape tank uses the new material mesh coil which features fast heating and brings smooth taste. The Uforce U2 0.4ohm coil works at 40-80W and the Uforce N1 0.13ohm mesh coil works at 50-100W. Also, the Uforce T1 tank has a triple bottom airflow system for better airflow and flavor delivery. The Vmate Uforce T1 kit follows the rules of lightweight, elegance, and swiftness to bring you enjoyment and ultimate convenience while vaping. It is presented in a huge variety of eye-catching color finishes. Such as P-waterfall black, S-Emerald green, S-Surf blue and 13 more options for your choice. All in all, the Vmate Uforce T1 vape kit by Voopoo has all the features to be you next favorite vaping device!